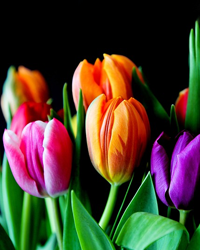 Beatrice A. Marx of Hartford, was Born to Eternal Life Tuesday, April 2, 2019 at the age of 82. She was born September 26, 1936, the daughter of Gordon and Irene (nee Wolf) Marx. As a school sister of St. Francis, she taught grade school in Michigan at St. Mary of Redford and in Milwaukee, Beaver Dam and in Waupun. After retirement, she taught Religious education at St. Kilian’s Catholic Church. She was a graduate of Alverno College and received her masters at the University of Detroit, in Michigan. She is survived by her brother Ronald, nieces, nephews other relatives and friends. She is preceded in death by her sister and brother-in-law, Pat (Elroy) Schumacher and sister-in-law Bonnie Marx. Visitation is Friday, April 5, 2019 from 4-6 p.m. at St Kilian’s Catholic Church, 264 W. State St. Hartford, WI. Mass of Resurrection will follow at 6 p.m. Private Interment St. Kilian’s cemetery. Memorials to St. Kilian Religious education fund.